E3 isn't for another month, but you wouldn't guess that by how many insane announcements happened this week. Far Cry 4, Halo 5, a Kinect-free Xbox One: It's been a doozy. There have been a small flood of gaming news filling in the cracks around those massive announcements though—like a Diablo III birthday party, a long delay for Tom Clancy's The Division, and...Philips suing Nintendo? This is gaming news you need to know for the week of May 12. April NPD numbers are out and they show the PlayStation 4 outselling the Xbox One for the fourth month in a row. Do with that news what you will. If you made a Venn diagram of "people who are obsessed with The Stanley Parable" and "people who are obsessed with Dota 2," well, that might be an interesting Venn diagram. Nevertheless, Valve has released an announcer pack featuring Stanley Parable narrator Kevan Brighting. If you want your Dota 2 served up with a side order of meta-humor, it'll cost you $10. Meanwhile in Dota-land, the prize pool for the International 4 tournament—the biggest Dota 2 event of the year—has now reached $5 million. That's...a lot of money. 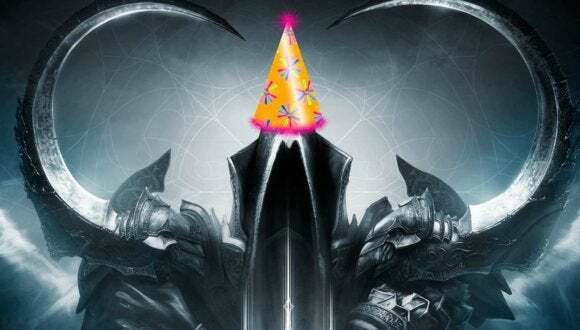 This week marks the two-year anniversary of Diablo III's (troubled) release. Blizzard is celebrating with a special anniversary event which started May 15 and runs through May 22. For the entire week, Legendary drop rates will be doubled, as will drop rates for Rift Fragments (making it easier to enter the game's lucrative Nephalem Rift dungeons). I hope you've been exercising your clicking hand. With Duke Nukem on the shelf pending a lawsuit between Gearbox and 3D Realms, developer Interceptor Entertainment went ahead and revealed a new game this week: Bombshell, a top-down action RPG coming to PC and PlayStation 4. You play as Shelly "Bombshell" Harrison—a motorcycle-loving woman with a bionic arm who fights aliens. It looks just as pulpy as I'd expect from the team that made the Rise of the Triad reboot. Philips is suing Nintendo for allegedly infringing on two patents with the Wii U. The company is asking for damages and a halt to all Wii U sales. To be fair, I don't know if Philips really had to ask for the second condition. Consumers are already doing a fantastic job of not buying the Wii U. If a picture on Reddit is anything to go by, external storage is on the way to the Xbox One. Reddit user XboxOneDev showed off an image of the console utilizing an external drive. 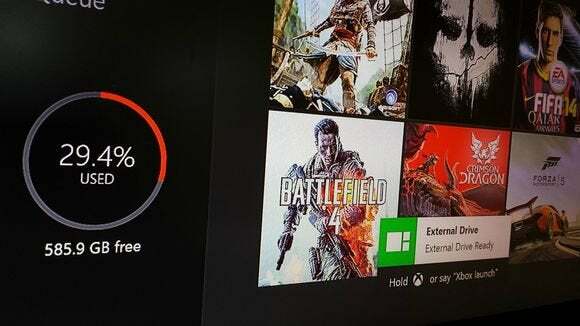 That's good news for Xbox One users, although like many of the features Microsoft has added this year it seems like this should already have been in the console on launch day. BioWare posted a blog this week highlighting the most common first names used in Mass Effect 3 for Commander Shepard. While the default names of John and Jane were "the most common choices by far," those who strayed from that path preferred Jack and Sarah. Apparently there are a lot of Lost fans out there. Remember how excited you were to see the trailer for Ubisoft's The Division at E3 last year? You'll have to keep a lid on those hopes a little while longer. The company announced this week the game is delayed until 2015. "Working on The Division is a once in a lifetime opportunity for all of us at Massive, Reflections, and Red Storm Entertainment. We are creating something we are really proud of and we don't want to compromise on quality. We are going to release the game when it's ready." We can expect to see more of The Division at E3 this year. And who knows? Maybe next year, too. It's been a crazy week full of announcements that probably should've been held back until E3 next month. Microsoft is ripping the Kinect out of the Xbox One and repackaging the console for $399, plus unbundling Netflix/Hulu from Xbox Live Gold—and offering Xbox Live Gold refunds if that unbundling changes your mind about your subscription. As for games go, Far Cry 4 is coming at the end of the year and Halo 5 is real. But wait, there's a whole lot more! AMD's Radeon R9 280 is finally back to list price, GOG and Humble are having a ton of sales this week, Adaptive-Sync technology is pretty cool, and the Xbox One and PS4 consume silly amounts of electricity. Plus, Flappy Bird's zombie corpse returns this August. We also reviewed Child of Light, which is unfortunately not as enjoyable to play as it is to watch, and previewed Lovecraftian city builder Clockwork Empires. Still in a gaming mood? Tune in this weekend for reviews of Age of Wonders III and Warlock 2: The Exiled.